1. 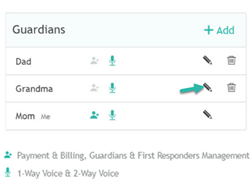 Go to your Menu on the left hand side and click "Settings" and then "Guardians"
2. 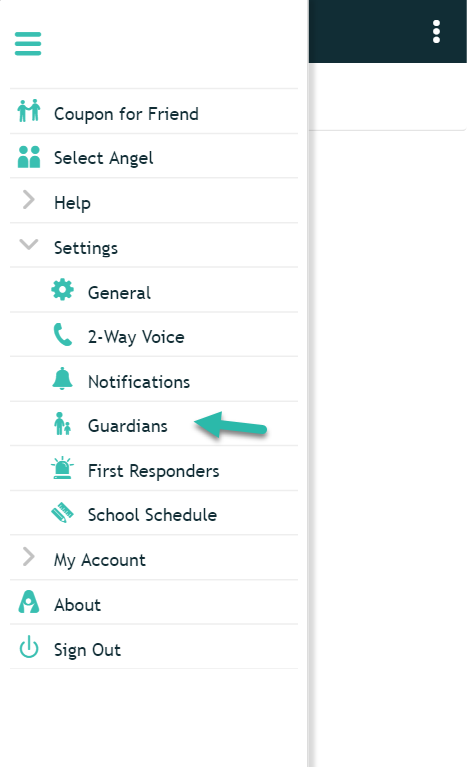 Select the Guardian you wish to add as a Primary by clicking the pencil icon. 3. 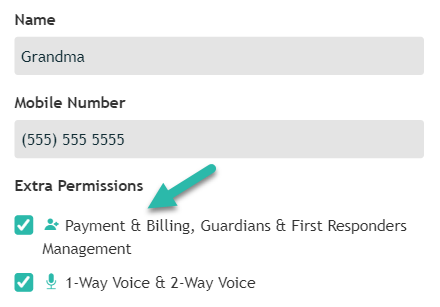 Check the box for "Payment & Billing, Guardians & First Responders Management" in order to give them Primary Guardian access. Click Save and you're done! *You can have as many Primary Guardians as you wish.